A couple weeks ago I took a picture of the full moon as I saw it from our little ‘balcony.’ (I put balcony in quotes because it isn’t what you would typically think in the states as a balcony, i.e., BBQ’s and relaxing. We pretty much use it to dry our laundry.) 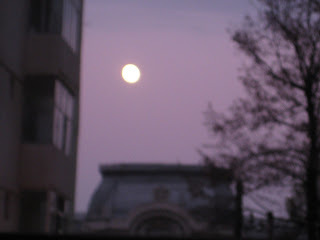 Anyway, it was a pretty amazing full moon. 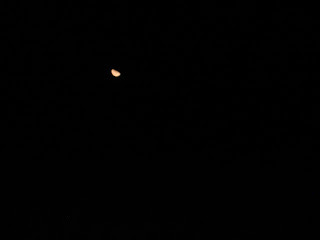 Then last week Bela and I were driving back from the airport and there was the most beautiful red moon. It was so close it seemed like you could touch it. It was hard to capture it on my camera, but I still thought I’d share how spectacular it was. I am so grateful to have a washing machine. 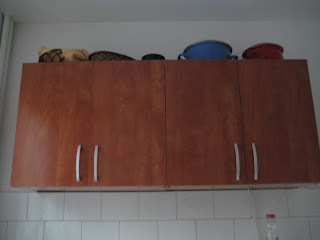 When I moved to Galati I thought I’d have to do all my laundry by hand, but my host-mom had a machine and when I moved into this apartment with Rachel a one had been left behind by the previous tenants. A couple weeks ago I needed to do a load, so I put my clothes in, added some soap, turned the appropriate dials, pressed start, and took a nap. 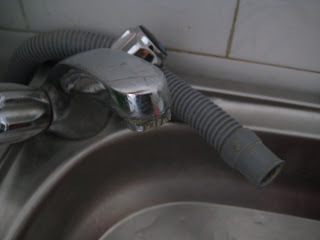 A few hours later I woke with a start and in a panic because I didn’t remember putting the hose into the kitchen sink. As you can see by the picture, water from the washing machine has to drain into the kitchen sink which means the hose must be aimed into the sink or we will have water everywhere. A word about microwaves. They are great. Of course, most of the world doesn’t use them and they are a luxury item. Still, it’s handy to be able to warm up a cup of coffee or last night’s dinner for today’s lunch. 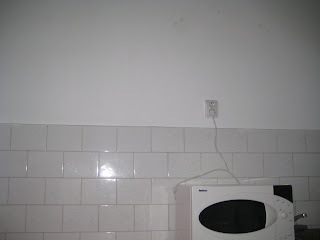 The microwave we have in our possession belongs to Rachel’s old roommate Ana and her family. She brought it with her when she moved in because her family had an extra one. 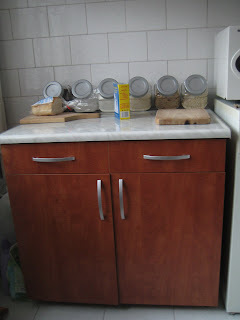 A few days after the washing machine fiasco we went to use the microwave and it wouldn’t work. Well, the timer worked but the heating element would not work. 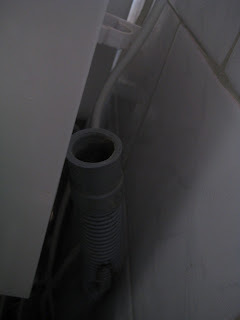 As you can see from the photo, the hose by which water is expelled from the washing machine was aimed right against and at the microwave. I think that water got into the microwave and ruined it. Big bummer as now I will be responsible to replace said microwave should Ana’s family desire me to do so. Then, this week, while at the center, I was trying to make coffee for everyone, when I dropped the hotpot (the kind of thing that plugs into the wall and boils water quickly). I’ve decided that I’ve broken enough appliances for one month and am even a little wary of using my computer at this point. This will not be an overly exciting post, but every time I blow my nose I think: I need to say something about this on my blog. So, a couple weeks ago I needed kleenex. I went to the store and bought some...there were a variety of kinds, but I decided to go with the 'bigger' box, more for the money. It was also nicely decorated with pictures of lemons on the box. That night when I was blowing my nose I thought: these kleenex smell strange...IT'S BECAUSE THEY'RE LEMON SCENTED!